It’s been awhile since I’ve busted out the food processor. 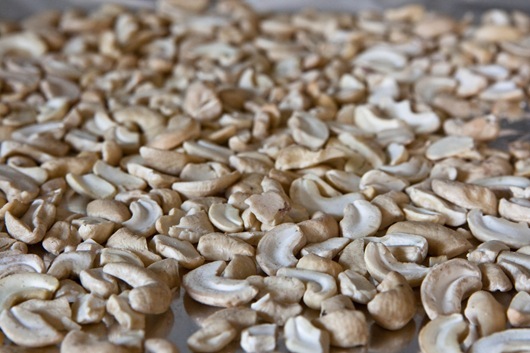 It’s been awhile since I’ve given you a nut buttery recipe. Today I did both. I mean to do one, you have to do the other. You just do. 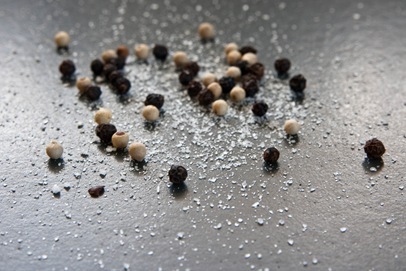 Peppercorns. Are you scared yet? 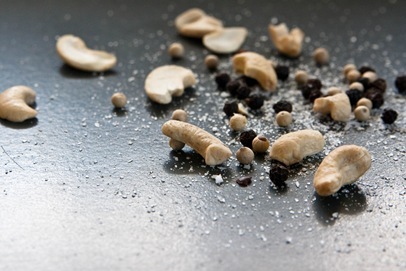 Salt + pepper + nut butter? What? Has she gone mad? Nope. Not one bit! Have I ever led you astray? Are you starting to see where I’m going with this yet? Are you still in disbelief at the combination? Think about eating roasted cashews covered in salt + pepper. 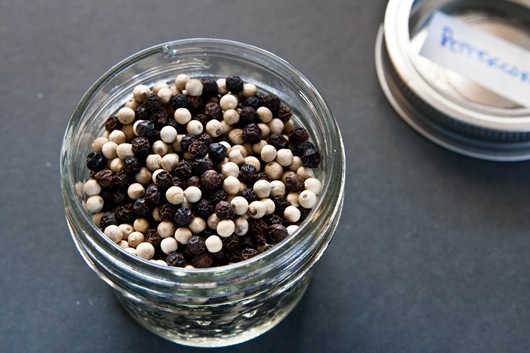 Now think about turning it into creamy goodness. 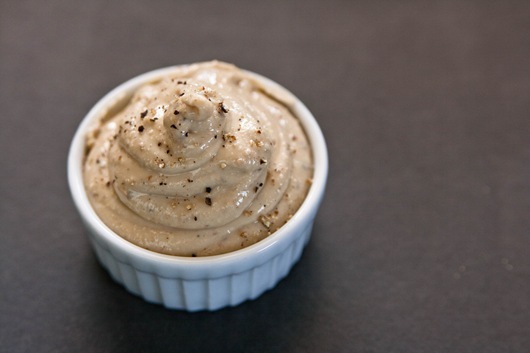 Salt + Pepper Cashew Butter? Most definitely. I could have gotten fancier with this, but decided to keep it simple. 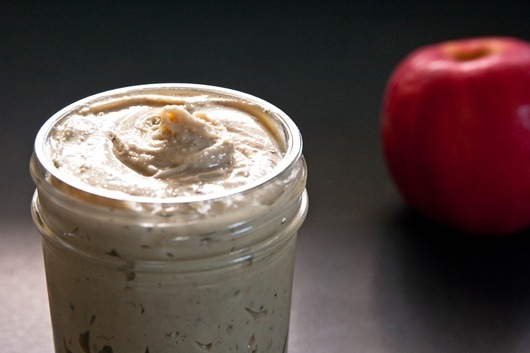 If you’re looking for a fancier, savory nut butter, you must check out my smoked paprika almond butter. Sometimes simple is better. Or at least just as good. 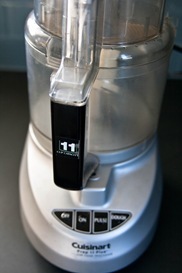 Add nuts to processor, and turn on, scraping sides as needed. It should butterize in about 5-8min. It goes much quicker than almonds. 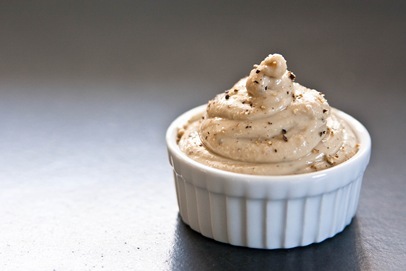 Allow the cashew butter to process until creamy/drippy and add in 1t ground pepper + 1/2t salt. Process + scrape sides + bottom to make sure it’s all combined. Taste + add more salt/pepper as needed. *This has quite the kick of pepper. You can always start by adding in 1/2t and adjust from there. *If you’re using a 7c food processor, I would decrease to the recipe to a max of 1.5c nuts + adjust other ingredients accordingly. *You can definitely make this with other nuts or a combination of more than one. 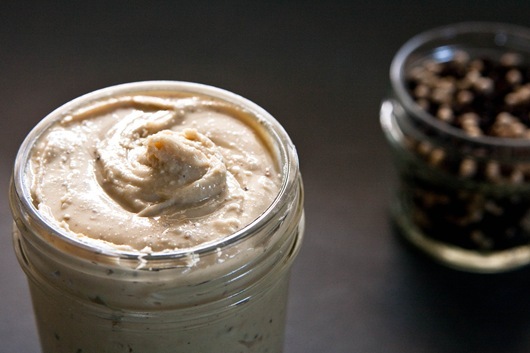 The peppery spice, mellow cashew flavor, + pop of salt, work together to make a stellar new savory spread. And if you’re really brave…try it on an apple!